Admittedly, I’m a little late to the game when it comes to reviewing the Oppo BDP-105D. It is Oppo ‘s flagship Blu-ray player or maybe it would be more accurately be described as a digital media player. According to Oppo, “The Oppo BDP-105 is designed from the ground up with components optimized for enhanced analog audio performance. The Oppo BDP-105 features an all-new analog audio stage powered by two ESS Sabre32 Reference Digital-to-Analog Converters (DAC), balanced (XLR) & unbalanced (RCA) dedicated stereo outputs, a Toroidal linear power supply, and asynchronous USB DAC input. These high-grade components are housed in a rigidly constructed metal chassis and work together to deliver exceptionally detailed and accurate sound quality along with reference quality video.” Believe it or not, the Oppo-105D actually has a lot more features than that, but equally important to me is that it works great as a straightforward disc player. The reason I’m a little late to the party is that I just never took this product all that seriously; shame on me. Then, back in March, I was over at Constantine’s place, and he was playing his Esoteric K-03 SACD/CD player and 32-bit USB DAC, using the Esoteric G-01 rubidium clock. Then, just for the heck of it, he said, let’s listen to a couple of SACDs on the Oppo. To say I was shocked is an understatement. It was literally a jaw dropping experience. 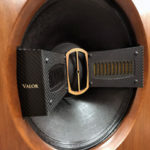 I owned one of the early Oppo players, and while it sounded very, very good for the money, nothing about its build quality, packing or even its sound said “high-end.” Well, that’s changed, almost everything about the 105D says high-end in an understated way. It is a world-class product, from the casework to the thoughtful packaging. If I hadn’t known the price, I would have thought I was unpacking a five-figured priced player. This Oppo feels like something very expensive as you unpack it and hold it in your hands. The silver version looks really good on the shelf above the Pass Labs XA30.8. Thankfully, the Oppo BDP-105D has a very thorough and easy-to-understand owner’s manual that guides you through all of the setup procedures. The remote is good enough, but I ended putting mine back in the box. I loaded the free, downloadable app for Android or iOS users on my iPhone. I found this much easier and more convenient than the remote. The menus are easy to read, and the app separates functionality into three screens that you just stroll through, and with my iPhone the unit responded quicker to the app than it did to the remote. This turned out to have one downside, when a firmware update comes along it updates on the app and won’t work until you update the firmware on your unit. So, I guess you need to keep the remote out for firmware updates. Oppo Digital is a very interesting company; it is an independently operated division of Oppo. 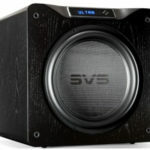 Founded in 2004, it is based in Mountain View, California and quickly became known in the audio industry for the sound of their universal DVD and Blu-ray disc players. Almost from the start, their players were highly respected as being so close in sound to the very best digital that often in audio shows they would be the source in very expensive systems. Just looking at all those specifications, and I only shared the audio ones, is enough to show why I don’t like using modern digital devices. At least when I looked at the back panel, I actually thought I could hook everything up. Still, this explains one of the reasons I really like units like my little 47 Laboratory Midnight Blue player, or one of the Audio Note digital devices. Because you just drop in a disc and play music. Oh, it doesn’t hurt that they sound great. Well, the good news is you can do this with the Oppo if all you want to do is use it as a player. Even better, you can drop in almost any kind of disc including SACDs and it just plays them. One of the best things I can say about setting up the Oppo BDP-105D is that you have to work hard to mess things up. If you’re a music lover who has music on lots of different files, this is the player for you. It uses a 24-bit/192-kHz DAC that lets you play all the digital downloads in your music collection. It is even capable of playing DSD files from any optical or USB storage device. It also did an excellent job of streaming TIDAL’s high-rez files. What else do you get in the heavy black or silver box? In my video/digital system, I was able to plug my DirecTV box into it, as well as using an Ethernet cable to hook it up to my network. So the only other thing I needed in the system was a power amp. By the way, I should mention that I not only used the Oppo BDP-105D in both my video/digital system and my reference system, but I expect I’m going to buy two of these. I want a black one for my video/digital system and a silver one for my reference system. I started the Oppo BDP-105D in my video system for break-in and to see what the picture would look like. My system consists of a 65-inch Sony XBR 4K TV, an Electrocompaniet PI 2D Prelude Integrated Amplifier, DirectTV HiDef DVR. The Electrocompaniet is driving a pair of Audience ClairAudient 1+1 V2+ Loudspeakers and TBI Audio Systems Magellan VIP su Active Subwoofers. The speaker cables in this system are Audience for speaker cables and digital. The interconnects are Teresonic Clarison cables. I used the Oppo with the stock power cord. I started only using the Oppo as a movie player. I was shocked by how much better the picture was than my Marantz player. Even more surprising to me was how much better it sounded than the Marantz which was serving as a transport for the excellent DAC in the Electrocompaniet PI 2D. I would eventually use the Oppo as the media player for the DVR and for all the music and videos available on our house server. It sounded best using the Electrocompaniet just as an integrated amp. I also used it both with the wonderful Audience ClairAudient 1+1 V2+ speakers and the new Fritz Carrera BE. The biggest compliment I can give the Oppo BDP-105D is that it is the only digital player I have had in the digital/video system that I have been able to sit and listen to for a long periods of time without deciding to go downstairs and listening to the reference system. Until now, I have mainly used this system for TV, movies and background music when I’m cooking. This has not been the case with the Oppo BDP-105D in the system. This video system is not setup for listening from a sweet spot, but for group enjoyment. Thus, I’m not going to get into talking about audiophile sound in this part of the review. I simply want to say that this system has never sounded this good and I have always had high regard for the DAC in the Electrocompaniet, which is what the server, the Marantz Blu-ray player and the DirecTV box were playing through. The sound has less of a digital edge, is fuller, has more tonal color and more detail. It is especially better than the Electrocompaniet when it comes to air and spatial information. In this system, I felt the bass was powerful with nice air and decay. Voices, both mail, and female sounded really natural with great air and space around them. This was true of solo voices, small ensembles or even choral works. I think it is safe to say this is the best this video system has ever sounded, and I know it’s the best picture I have seen, except for the few 4K videos I have. What a great media player for a fair price. It fits perfectly into a system designed to play for a group of people whether we are watching movies, sports or listening to music. What more can you ask for? Well, let’s see how it does in the reference system. Analog Outputs: 7.1ch, 5.1ch, stereo, Dedicated Stereo Analog Audio: XLR balanced, RCA single-ended. HDMI Audio: Dolby Digital, Dolby Digital Plus, DTS, AAC, up to 5.1ch/192kHz or 7.1ch/96kHz PCM. Dolby Digital, DTS, AAC, up to 2ch/96kHz PCM. Dolby Digital, DTS, up to 2ch/192kHz PCM. Wait until you try a better power cord. Don’t say I didn’t warn you. Than, for chuckles, try floating the 105[I use Gershman Levatation devices]. The Oppo clearly reaches another level when you do these two things…Just saying. YMMV Great review. And I can testify to the superb Oppo service. They go the extra mile. I’m a very pleased customer. 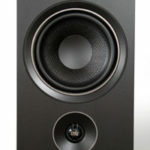 I stated in the review that I used in the reference system with at $13,000 power cord. To be honest, i found the stock version of the BDP-105 to sound rather flat and uninspiring. Then i have it upgraded by Custom Analogue Audio in Sydney. Completely transformed it. Now it really is a giant killer. Agree completely with your ‘flat and uninspiring’ assessment. Have recently got myself a standalone DAC which I run straight into the same pair of active speakers, same position in same room, and it puts to shame the DAC in my stock BDP–105D. It’s now like the recording musicians are in the room with me. I was using my Oppo as a player and transport for my DAC. I had the DAC setting on top of the Oppo. I rearranged my components and moved the DAC off of the Oppo. With this arrangement I had a hard sound that I did not like. I moved the DAC back on top of the Oppo and added some brass dampening weights. Sound that I liked returned, plus the dampening weights made improvements. wait until you try a better power cord. Don’t say I didn’t warn you. The Oppo easily shows the difference in power cords. And using isolation or floatation devices under the Oppo again improves the sound. My system is totally CD-sourced – and I’ve found that a 2A3-based integrated amplifier does wonders. 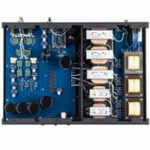 Did you audition Teresonic’s own 2A3 amplifier when you auditioned their speakers? If so, you might have had different results. Happy listening — and, by the way, if you ever get tired of that Oppo you’re reviewing, let me know – I’ll send you an address for its proper disposal and a check for the shipping. Yes, I did. Maybe the truth is my ears aren’t very redbook cd friendly. Did you try it as a Transport into a stand alone DAC? Great review Jack. I personally have a BDP 95. I have been wondering if MQA would work thru the Oppo. Do you know if this would be possible? Did you try the oppo with the stock power cord or just use your $13,000 power cord. Red book CDs may have been improved. I used it with both power cords, it was better with the more expensive power cord. Hi, Jack. A longstanding limitation of the Oppo is that when using the network (DLNA) connection, it doesn’t support gapless playback. This is pretty critical for many recordings in various genres of music. I have no doubt it’s a fine video and audio disc player and also a fine USB DAC. But no one should buy this and expect it will work well for network audio. You can do gapless playback over DLNA if you start it from the Oppo Media Control app on your phone. First, Oppo’s parent company is BBK Electronics (China). Lets get that straight and out of the way. Next, I’m beginning to think a LOT of publications were paid a good sum of money to favorably review this unit. Prior to learning this I did purchase the BDP 105 and to say it was a disappointment is an understatement. Right out of the box is sounds compressed and very, very sharp. This got slightly better after about 300 hours of break-in. Lastly, I would look elsewhere if you’re purchasing this for audio only.